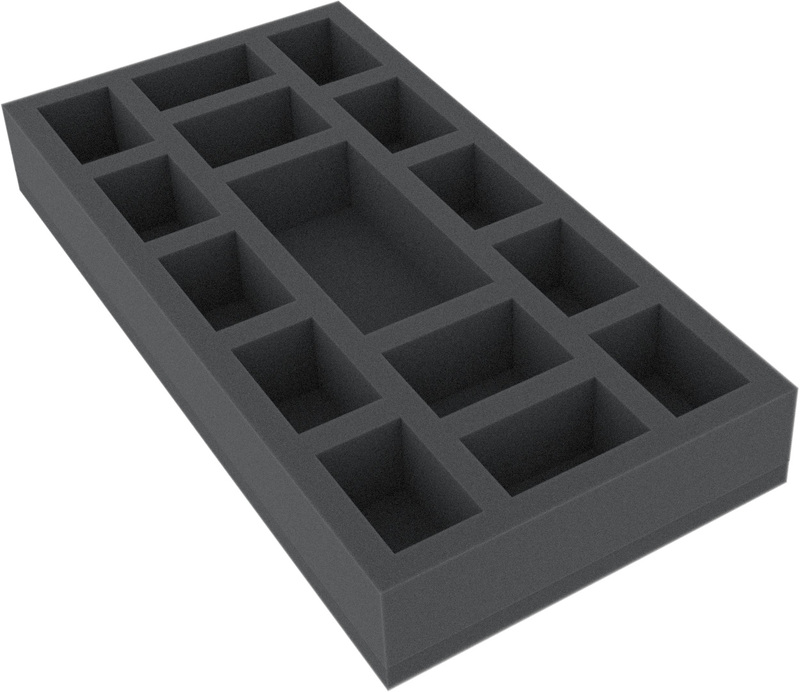 This foam tray is divided into 15 compartments and is ideal for the safe storage of smaller miniatures and for the clear sorting of game material. 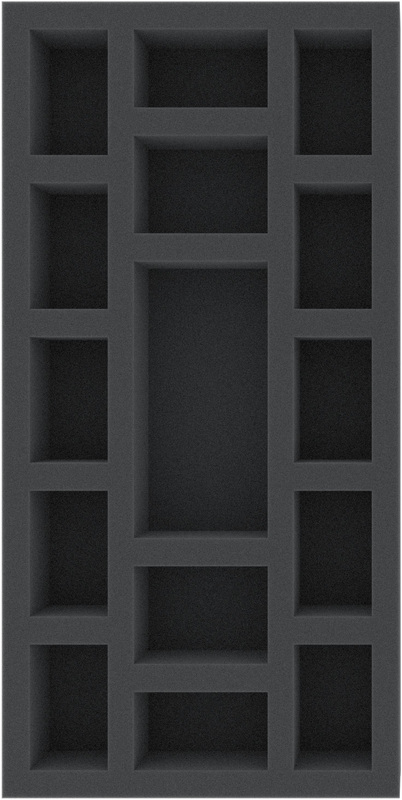 It fits exactly into original board game boxes with the dimensions 285 mm x 285 mm, as well as into the Feldherr storage box LBBG. Two mats next to each other add up to one base area.